Each one is hand made. She does all the sewing herself. 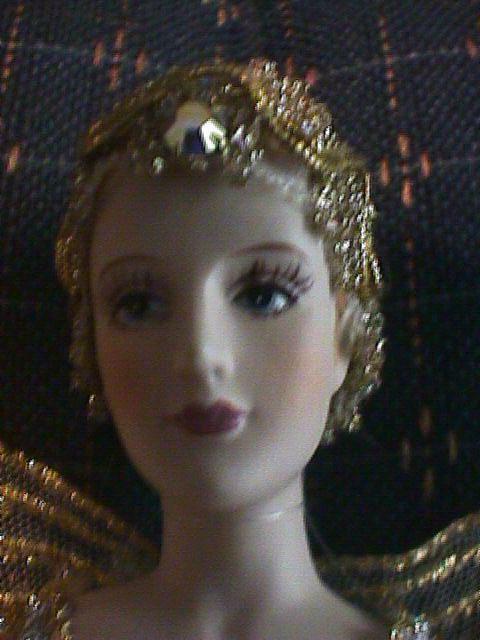 The heads are hand painted porcelain. 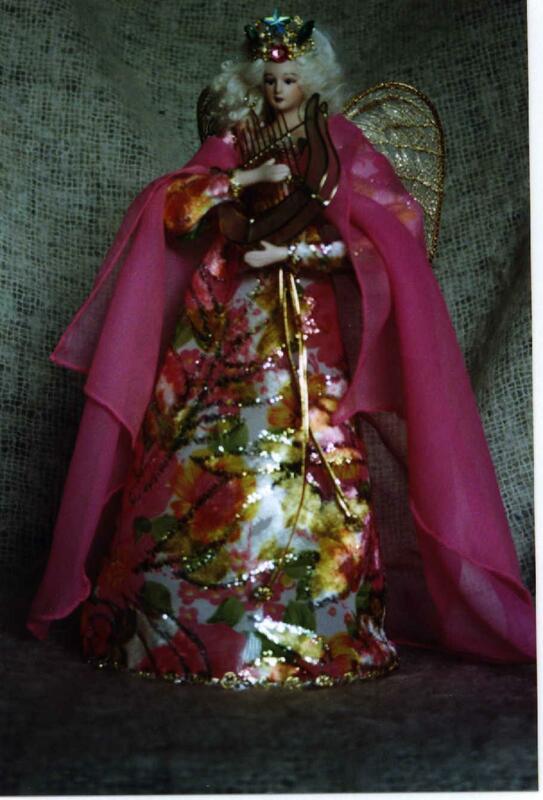 She has a BFA in art, and has taught art to many grateful students. 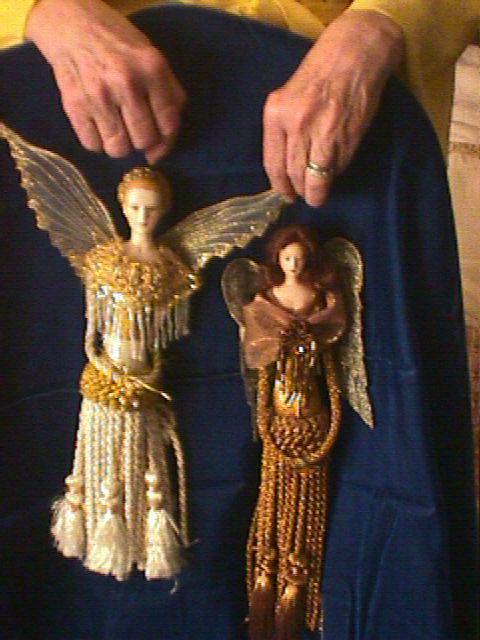 Some of the materials used are antique which she searches the flea markets and estate sales to obtain. .A lot of time goes into each project. 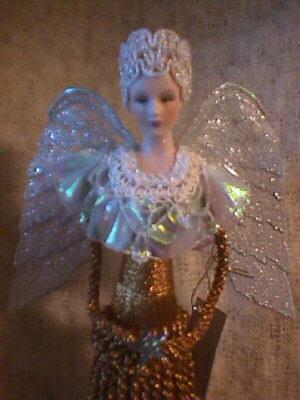 Her angels look lovely set on tables for decoration, or used as Christmas Tree Toppers--each one is made around an acrylic, see-through cone, that gives the illusion of floating. Ila decorates her entire tree with them. 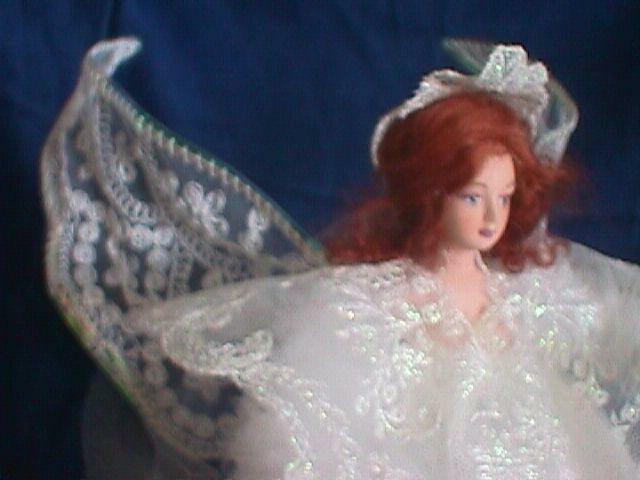 They are about twelve inches tall, some have mohair wigs, and the price to you, shipping included is $40.00 dollars each. That covers the cost of materials with a little profit--it's more a labor of love. 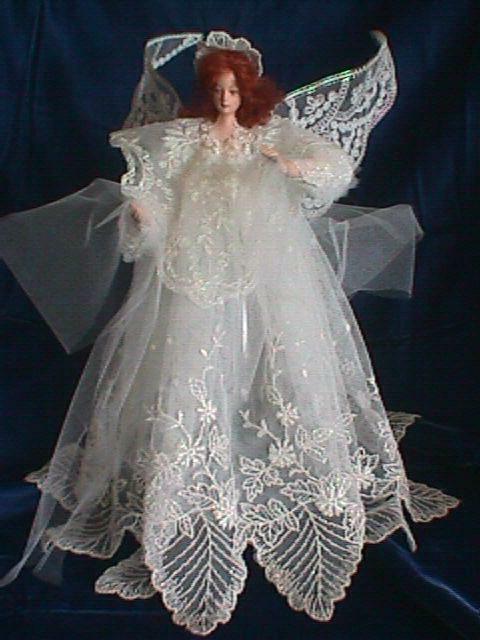 Ila wants her angels to be reasonable enough so that most of us can afford to own one. 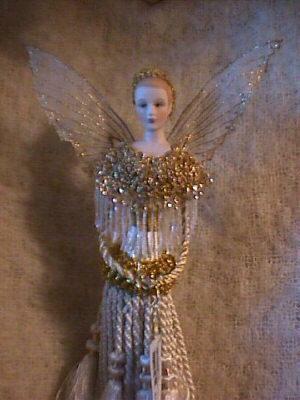 Angels are 12 inch tassels, can be used as Christmas Ornaments, or hung just about anywhere one would want a lovely gardian to reside. 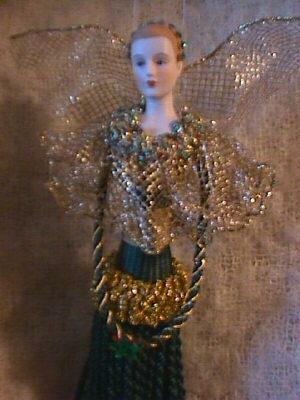 Many other colors and styles available--each one different and unique. 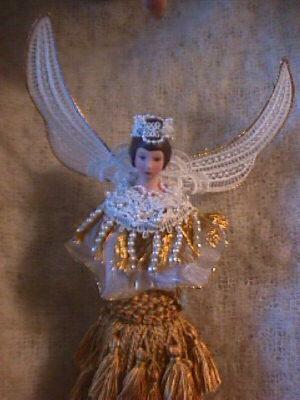 Angels are 12" tall. 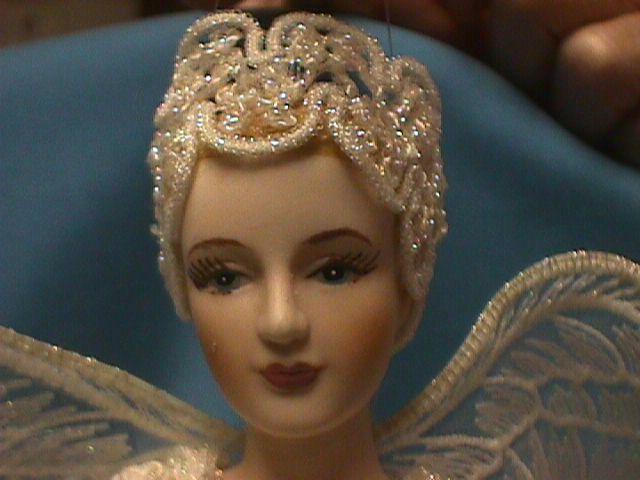 Call Ila, tell her what you want your special angel to look like.